Thread: HELP. Looking for a Crash Bar. 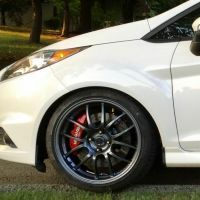 Hi, I'm looking for a Crash Bar for a 2015 Fiesta ST. My stock bar is far to heavy. Also does anybody do a Crash Bar for the rear. No good answers, yet. DaVinci Performance bought the assets of the vendor that was making good quality front (and rear) crash bars but trying to do business with them it tough; many have complained that they'll happily take your order but can't seem to ship product. There was a rumor that Whoosh Motorsports was going to produce one but I never heard anymore than just the rumor. Ron? TB? Who's TB? Have an Instagram post to share? « Boosted Designs Cyber Monday Sale - up to 25% off!